I was pleased to read a study by the World Health Organisation which claimed childhood obesity in Australia has begun to decline in some areas of the community. 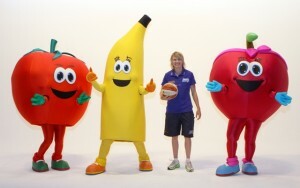 “There has been a lot of media awareness of childhood obesity over the last decade and there has also been a range of initiatives promoting good nutrition and active play in early childhood settings...” (Canberra Times, 28 March). The impact of these findings is nothing short of extra-ordinary for us and we know the fight against childhood obesity is not over. Our initiative, the Healthy Hoops 4 Active Kids is designed to educate children on the advantages of healthy living and physical activity has helped to bring this change about. We must continue to service the community by creating sustainable and physically active lifestyles, because as the title of the article says, the battle is not yet over. But this leads to an even greater opportunity, to see Canberra become the leader in cutting Australian obesity levels, and continue to protect our youth.